Ferry Terminal | Jesse Co. 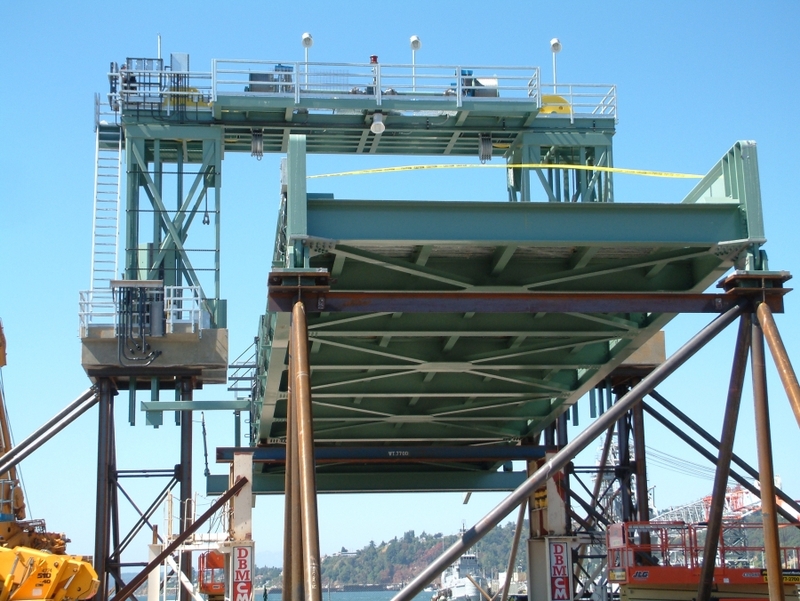 Fabrication, testing and supply of a new prototype Ferry Terminal for the Washington State Ferry System, including a 90 foot long Transfer Span Bridge welded to AISC Fracture Critical requirements. 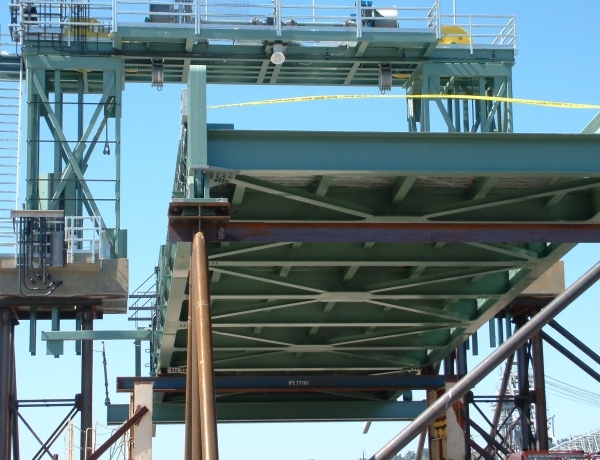 A Hoist System made up of close tolerance machined drums, sheaves, shafting and machine bases. Adherence to Washington DOT QA requirements that included welder and weld procedure qualification, material certification and Charpy testing, certified weld inspection, domestic material requirements and state inspection and approval. Prototype design was erected in Jesse’s yard and extensively tested for a year. Total weight 188 tons.